The Institute of Financial Consultants (IFC) is an international professional organization chartered in the United States, and Canada. To date, the Institute has more than 8,500 members in more than 17 countries. The IFC-Philippines, a registered provider of the CFC® program, offers an educational program leading to the designation of Certified Financial Consultant (CFC®) issued to qualified graduates. 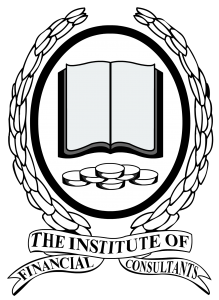 The Institute is multidisciplinary, drawing its members from the related but separate fields of accountancy, insurance, law, funds management, tax and pensions. The Institute is forging a "new" profession that adopts the best features from these related professions and encourages the development of members’ qualifications as financial consultants on the basis of their current professional qualifications. Financial consultants give advice to clients in different ways and situations, from the financial planners advising clients on investments to those working as corporate financial officers, portfolio managers, security analysts, and investment bankers in organizations as diverse as brokerage firms, mutual funds, banks, trust companies, corporate finance departments, insurance companies, and other financial management firms. The IFC-Philippines guarantees that its members provide competent, ethical, and objective financial advice. This will be advantageous for the CFC’s clients and employers, the profession as a whole, and individual members of the Institute.